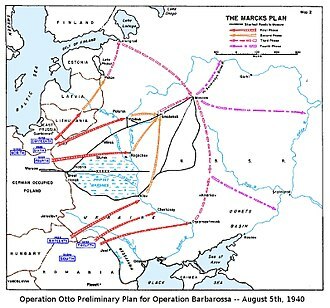 For the German World War II offensive, see Baltic Operation. 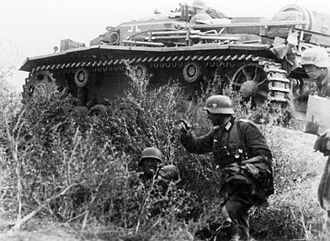 In 1944, the Wehrmacht was pressed back along its entire frontline in the east. 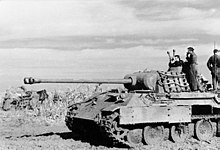 In February 1944, it retreated from the approaches to Leningrad to the prepared section of the Panther Line at the border of Estonia. In June and July, Army Group Centre was thrown back from the Belorussian SSR into Poland by Operation Bagration. 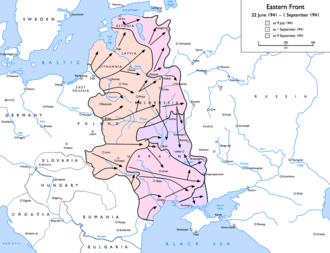 This created the opportunity for the Red Army to attack towards the Baltic Sea, thereby severing the land connection between the German Army Groups. 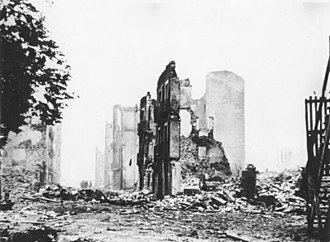 By 5 July, the Šiauliai Offensive commenced, as a follow-on from Operation Bagration. 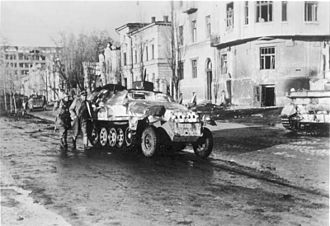 The Soviet 43rd, 51st, and 2nd Guards Armies attacked towards Riga on the Baltic coast with 3rd Guards Mechanized Corps in the van. 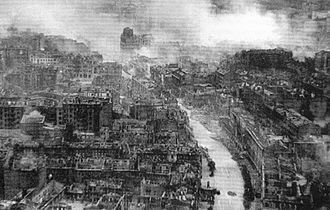 By 31 July, the coast on the Gulf of Riga had been reached; 6th Guards Army covered Riga and the extended flank of the penetration towards the north. 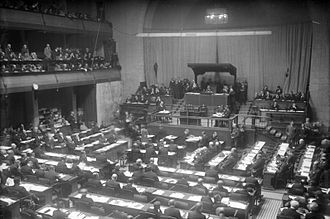 The German reaction was rapid, and initially successful. 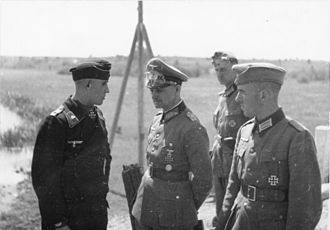 A counterattack, code-named Operation Doppelkopf, was conducted on 16 August by XXXX and XXXIX Panzer Corps under the command of Third Panzer Army, Army Group Centre. 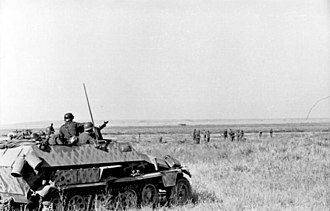 Acting in coordination with armored formations from Army Group North, they initially cut off the Soviet troops on the coast, and re-established a tenuous 30-kilometer-wide corridor connecting Army Groups Centre and North. 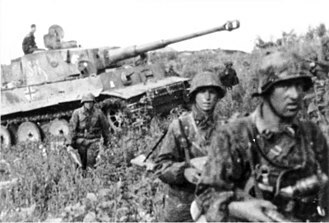 The main objective of the attack was to retake the key road junction of Šiauliai (German: Schaulen), but the German tanks ran head-on into an in-depth defense by the 1st Baltic Front, and by 20 August the German advance had stalled with heavy losses. 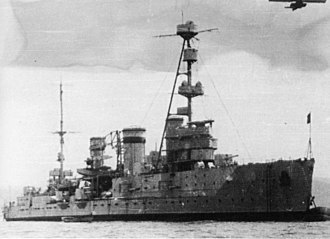 A follow-on attack, code-named Operation Cäsar, and launched on 16 September, failed in the same manner. After a brief period of respite, STAVKA issued orders for the Baltic Strategic Offensive, which lasted from 14 September-24 November. 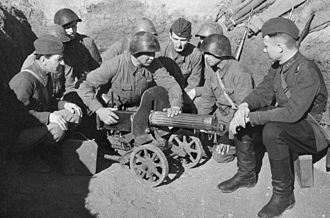 The Riga Offensive (Russian: Рижская наступательная операция) (14 September-24 October 1944) was carried out by the 3rd and 2nd Baltic Fronts and cleared the eastern coast of the Gulf of Riga. 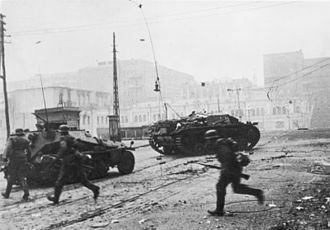 The Tallinn Offensive (Russian: Таллинская наступательная операция) (17–26 September 1944) was carried out by the Leningrad Front to drive German forces from mainland Estonia. 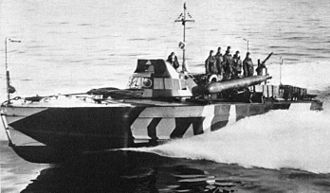 The Moonsund Landing Operation (Russian: Моонзундская десантная операция) (27 September-24 November 1944) was the amphibious landing on the Estonian islands of Hiiumaa, Saaremaa and Muhu, which block access to the Gulf of Riga. 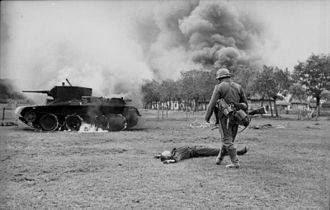 According to Soviet data Germany lost 7.000 dead soldiers and 700 captured. 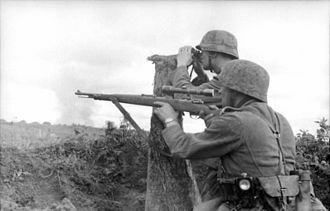 The Memel Offensive (Russian: Мемельская операция)(5–22 October 1944) was an attack by the 1st Baltic Front aimed at severing the connection between the German Army Groups Centre and North. Formation of the Courland Pocket 15–22 October 1944. 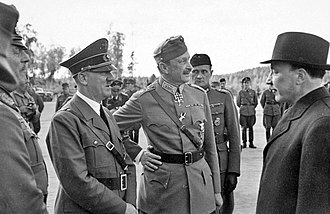 The Baltic Offensive operation resulted in the expulsion of German forces from Estonia and Lithuania. The Soviet fronts involved in the battle lost a total of ca. 280,000 men to all causes (killed, missing, wounded, sick). Communication lines between Army Group North and Army Group Centre were permanently severed, and the former was relegated to an occupied Baltic seashore area in Latvia. 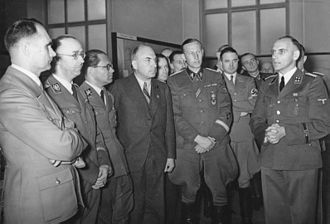 On 25 January, Adolf Hitler renamed Army Group North to Army Group Courland implicitly recognising that there was no possibility of restoring a new land corridor between Courland and East Prussia. 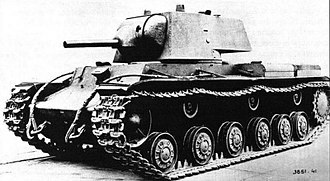 The Red Army commenced the encirclement and reduction of the Courland cauldron which retained a possibility of being a major threat, but were able to focus on operations on its northern flank that were now aiming at East Prussia. 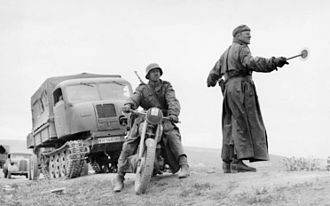 Operations by the Red Army against the Courland Pocket continued until the surrender of the Army Group Courland on 9 May 1945, when close to 200,000 Germans were taken prisoner there. 112 Hero of the Soviet Union awards were given out during the offensive, of which three were given soldier's second award. 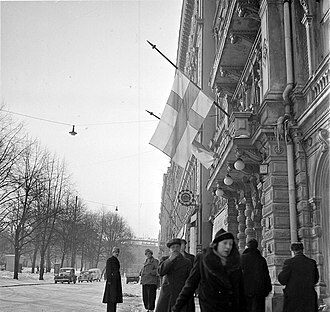 Soviet rule of the Baltic states was re-established by force, and sovietisation followed, which was mostly carried out in 1944–1950. 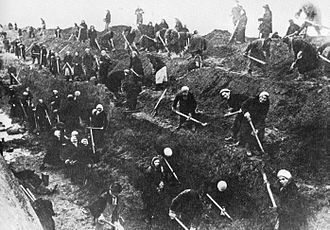 The forced collectivisation of agriculture began in 1947, and was completed after the mass deportation of civilians in March 1949. All private farms were confiscated, and farmers were made to join the collective farms. An armed resistance movement of 'forest brothers' was active until the mass deportations. Tens of thousands participated or supported the movement; thousands were killed. 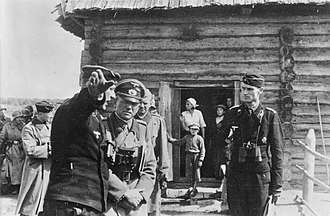 The Soviet authorities fighting the forest brothers suffered also hundreds of deaths. 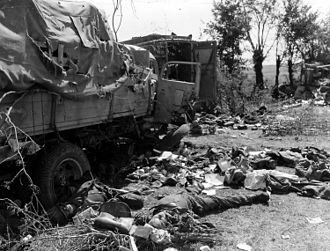 Among those killed on both sides were innocent civilians. 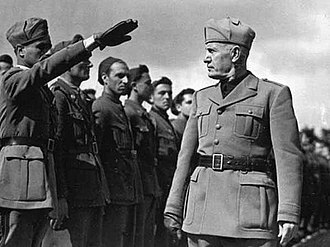 Besides the armed resistance of the forest brothers, a number of underground nationalist schoolchildren groups were active. Most of their members were sentenced to long terms of imprisonment. The punitive actions decreased rapidly after Joseph Stalin's death in 1953; from 1956–1958, a large part of the deportees and political prisoners were allowed to return to their homelands. Political arrests and numerous other kind of crimes against humanity were committed all through the occupation period until the late 1980s. 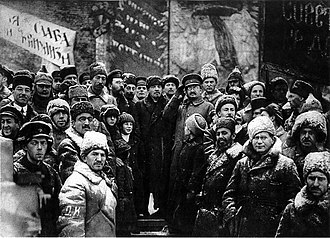 Although the armed resistance was defeated, the populations remained anti-Soviet. This helped the Baltic citizens to organise a new resistance movement in the late 1980s and then rapidly develop a modern society after the dissolution of the Soviet Union in 1991. ^ Anderson, p. 203; Muriev, pp. 22–28; Stilwell, p. 343; Проэктор. Проэктор, Д. M. "Агрессия и катастрофа. Высшее военное руководство фашистской Германии во второй мировой войне", Глава восьмая. "Катастрофа", М.: Наука, 1972. 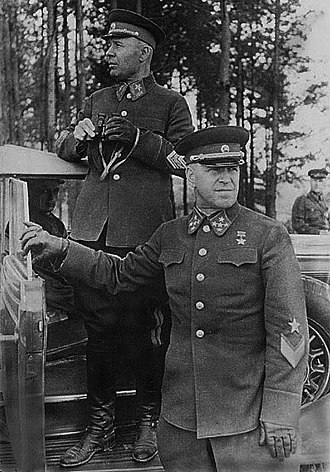 Bagramyan in 1916 while he was serving in the Imperial Russian military.